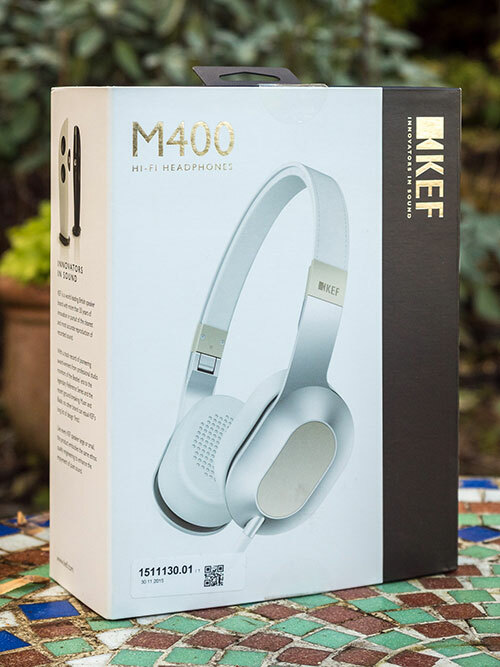 Following the M500, KEF released the M400 on-ear headphones last year. They are smaller and cheaper. 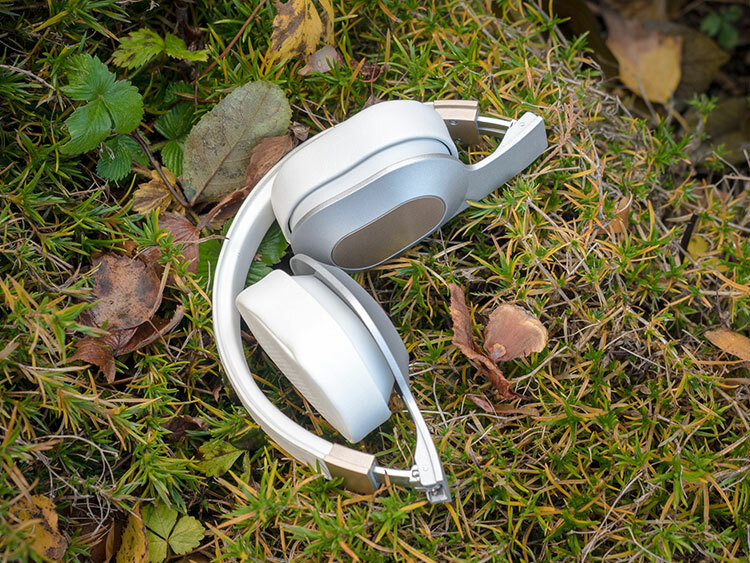 It’s about time we took a closer look to find out if the face-lifted M400 are more than a fashion headphone. KEF definitely knows how to do the packaging right. The box feels sturdy and once you remove the slider, it folds open. The two wings are held together with magnets. The headphones are displayed nicely in a stenciled soft carton and protected by foam on the inside. The mostly white box shows off a product shot of the headphones of whatever color is in the box and it introduces you to the history of the “innovators in sound” and KEF’s past accomplishments starting from the Beatles’ era. Surprisingly, the specifications are nowhere to be found. I find this to be a good choice because people tend to misinterpret them. Instead, the customer is told to use the headphones for “enjoyment of pure sound” from “all Apple and most other digital devices”. So we will do. The reason I am reviewing this neat little headphone is because build quality and design impressed me equally prima facie. I had the M500 on my wish list years ago but never got around to buying it. In May 2015 I spotted the M400 for the first time at the Munich High-End show and it immediately caught my attention. The ear pads are hardly smaller than those found on the M500, but the headphone definitely appears to be so overall. That is due to the cups being held from the outside facing part only, unlike with the M500 which had them encircled. Also, the slim headband adds a lot to the lightweight design. The M400 is quite sleek, no matter which color option you chose. They’re available in all-black or with an added single color, either blue or orange. Only the aluminum is colored while pads and leather headband remain black. This looks incredibly cool – and I am trying to stay objective as good as I can. My review unit is the white version which deviates a little. While the dominating color is white (ear pads, headband, cable), the aluminum parts remain metallic silver. Details are set in champagne gold. This edition, in particular, is reminiscent of the iPhone 5S design era by Apple, which still proves to be very popular today. The all black version, however, would optically be a perfect match for the matte iPhone 7 – if it had a headphone jack. (Yes, this is still a topic.) If you care about the looks of your portable cans, it should be difficult to keep the KEF M400 off your wish list. The choice of materials is great, though not drifting into redundant luxurious territory. The metal build feels solid and the faux leather padding adds a premium feeling. The headband is very thin, but the overall lightweight design doesn’t result in uncomfortable pressure. Instead, the soft cushioned ear pads are quite a joy to wear. Thanks to the on-ear design, ears won’t get as warm as with over-ears. Clamping force is rather mild too, though I never feared that the headphones could slip off my head unless my air guitar concerts evolved into furious headbanging. The folding joints are all metal too, so I have no fear of the headphone coming apart. After some use, though, they started creaking and the string lost some of its tightness. However, I have no idea through how much tear and wear my review unit has gone through before I received it. Also, worth noting is that the mounting for extending the headband doesn’t provide any rasterization. On a plus side, it theoretically provides infinite room for custom lengths. It did occasionally slowly slide out when repeatedly taking the headphones off and back on again but most of the time the arms were fixed well. The ear pads swivel around on three axes separately. I can’t exactly make out how they are connected. In the end, they adjust nicely to whatever ear shape you have. The build quality definitely seems very durable overall. The cable is user-replaceable, too. Using 3.5mm connectors, it should be very easy to find replaceable or upgrade cables. In the big picture, this is one of the better built ‘phones and it justifies to be put between comparable offerings by B&W and B&O. This is by no means a monitoring headphone. 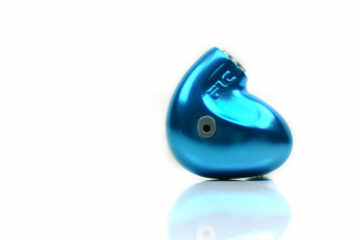 Though the earpads seal up nicely, comfort outweighs the use for high noise isolation. When commuting, I could easily understand announcements at the main station or when somebody asked me for directions. If you are hoping to block out sounds like with the HD-25-1 II or DT1350, the M400 might leave you wanting more. But when compared to either, the KEF feels a lot more lightweight and relieving. I found the level of isolation to be just right when walking along the streets and not fully drowning passing cars or shouting cyclists. Outward leakage is very good, though. When handed to my girlfriend, I could not guess what music was playing at moderate volume. Despite the cable being easily replaceable, KEF only ships a single cable. It is around 1.3m in length and officially supports Apple products. Its main purpose is to be connected to your iPhone and to make use of volume control and microphone. The rubberized texture feels solid and thickness is just right to neither feel bothersome nor frigid. Personally, I wouldn’t mind if the cable were a bit shorter. Basketball players will probably appreciate the extra length. The tactile rubber buttons are worked into a metal body. Adjusting volume or pausing music feels great. The headphones come shipped with a black zipper pouch. It does not provide much protection, but it will protect the materials from scratches. 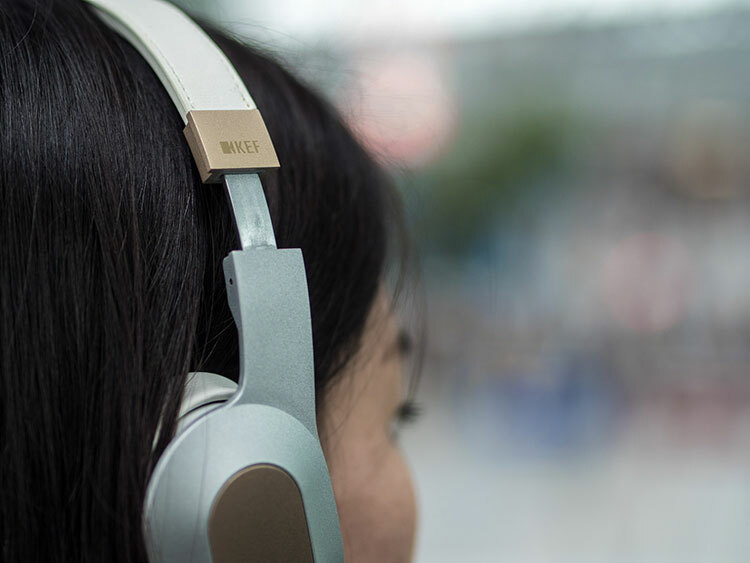 The way the M400 fold together, however, allow a risk of the first-folded ear pads being squished against the headband. Yet when you extend the headband, the pouch is too small. I regard the pouch really more of an accessory as it does not provide the protection I’d personally request. The headphones are safest around the neck. Instead of a 3.5 to 6.3mm adapter, KEF included an airplane adapter. I have a bunch of either at home so I am not sure which one is more requested by consumers. But my guess is, at this point, probably everybody has at least two quarter inch adapters at home already. If not, they can be bought online for half a buck. The airplane adapter makes more sense for me and is a welcome addition. Tonality is slightly warm with a soft touch. 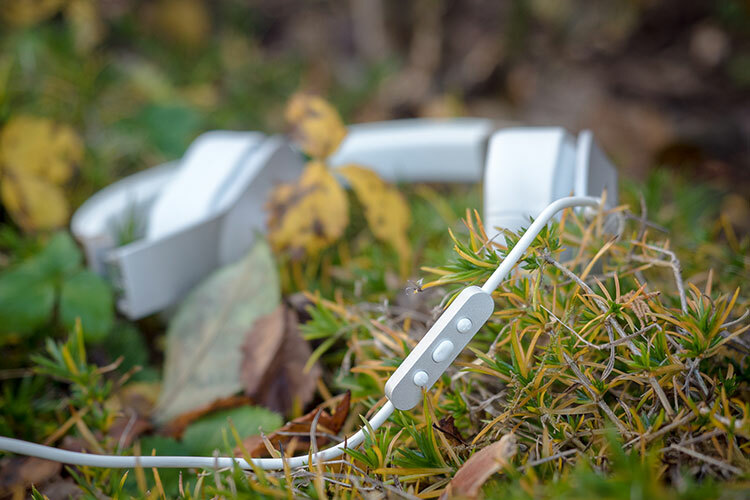 I am happy to say that the headphones are not totally consumer oriented, but strike a nice balance between being able to enjoy subpar audio recordings and ambitious naturalness. Studio trained ears aren’t necessary to tell that these are a significant upgrade over the Beats Solo 2. The tunes being reproduced by the M400 are lively but never feel excessive or forced. All while holding on to a believable timbre and realistic sound reproduction. The tuning immediately reminded me of the quite ambitious Noontec Zoro II HD to which I will compare it later. Though not overpowering, the M400 will try to charm you with bass first. Bass reaches low and has great punch, providing for a more than solid rhythm in your music. There is no apparent bass bleed either. It’s really quite enjoyable. It’s only when compared to references like the Beyerdynamic’s DT1350 or Oppo’s PM-3 that you’d notice the bass as slow and sometimes muddled. The extra amount of rumble is greatly appreciated when watching videos on-the-go. Though not monitor-like, it can also add to the music’s atmosphere. I’d describe the mids as mostly natural sounding. The bass is balanced at around 3.7 kHz which prevents voices from sounding too warm or mellow. They’re lively with a hint of crunch, but never to the extent that I’d say that they’d distract from the overall experience. Male voices can occasionally pick up some extra warmth, though it’s very subtle. The treble starts to roll-off gently after 7 kHz. However, it extends very far, audibly well beyond 16k. This results in a nice and smooth presentation that I consider as well-tuned avoiding any unwanted harshness and sibilance. Occasionally I wish the decay on cymbals were a bit shorter, but then I remind myself that these small details are nitpicking from an audiophile perspective. 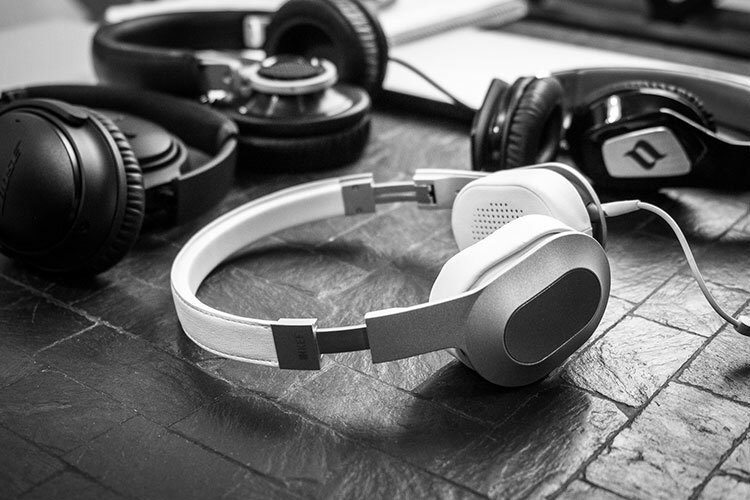 Due to their design, on-ear headphones always have a great challenge when it comes to soundstage. Over-ear designs usually do a much better job at making you believe that the music plays outside of your head. Taken these factors into account, I think the M400 does quite well among its competition. The stereo separation is quite strong, though it fails to create great depth and gaps between layers. Using software or hardware crossfeed helped a lot. The KEF might not be my first choice when trying to pick up details in Classical music, but it does even better at creating a comfortable atmosphere when listening to Chamber Jazz. The stereo separation is quite strong, though it fails to create great depth and gaps between layers. Using software or hardware crossfeed helped a lot. The KEF might not be my first choice when trying to pick up details in Classical music, but it does even better at creating a comfortable atmosphere when listening to Chamber Jazz. I have reviewed the Noontec roughly 14 months ago. Back then I criticized their plastic build and their heavily influenced Beats design. However, I appreciated their great tuning and overall sonic performance. I still use them at the gym because they do sound good. Sound-wise the Zoro 2 are not far off from the M400. Actually these are very similar in regards to mids and treble. The M400 does have more bass, though. Both match evenly from 1-3 kHz. Neither have issues with treble either, though the Zoro 2 outputs a higher level from 9-10 kHz. Though a bit more recessed, I prefer the smoother transition on the M400, yet I wouldn’t mind a bit less bass weight either. I also could not declare a clear winner for soundstage or resolution. As far as build quality, choice of materials and comfort is concerned, KEF beats Noontec tenfold. Unless you detest an overall warmer sound, the M400 should be a clear upgrade from the Zoro 2 overall. Coming from the Beats Solo 2, the M400 perform noticeably better. I not only prefer the design and build of the KEF, I prefer their tuning as well. The bass is not quite that strong and the mids are less colored. They provide much more clarity and less fatigue. 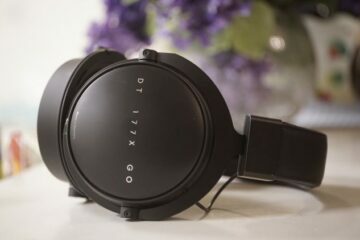 The DT1350 are still the on-ear headphones to beat, in my opinion. Their small driver is still impressive today and they’re one of Beyerdynamic’s more successful implementations of the Tesla design. Their quickness and linearity embarrasses the M400 in terms of resolution, though the 1350 are also easily limited by subpar sources. A smartphone might not always be enough to make them shine and the DT1350 might come off as hollow and lifeless sounding. This is where the M400 can stand their own. They pull out plenty of power and the bass punches confidently. Out of mediocre players, the M400 can be more enjoyable and their tuning is never bothersome – unless you absolutely dislike bass or warmth. I will keep this one short as I can only repeat what is said on the box already. These perform best out of an Apple product. Sound is tight and loud through the output of an iPhone (I tested iPhone 6 and 6S Plus) yet the M400 would not improve much from high-end devices like the Lake People reference amps. In fact, the reference devices quickly showed the headphones’ limits and emphasized a little lack of clarity when compared to full-size hifi headphones. This shall not be considered as criticism but instead as streamlined product design.